House cleaning specials for current customers, new customers and senior citizens! Our on-going special offers appear on this page. Be sure to check out the Promotions sections for other deals and information. 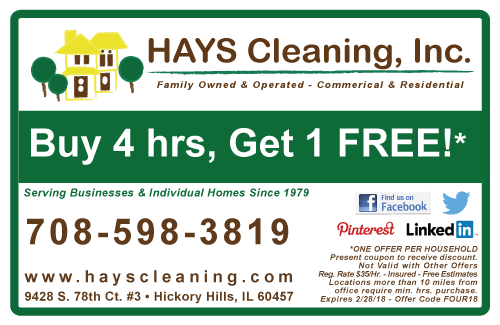 Call 708-598-3819 or email mary@hayscleaning.com to schedule your housecleaning! Are you on the fence about trying a new cleaning service? 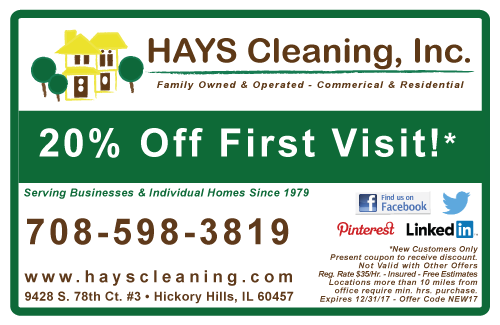 HAYS Cleaning offers 20% off to New Customers! 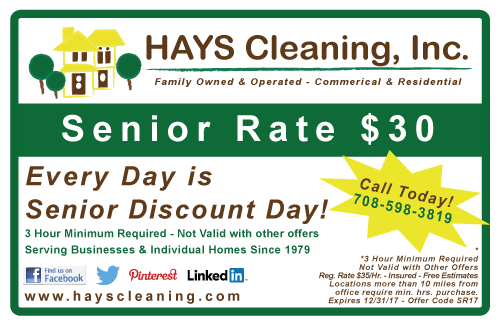 No need to wait for Wednesday because EVERY day that ends in D-A-Y is Senior Discount Day at HAYS Cleaning! 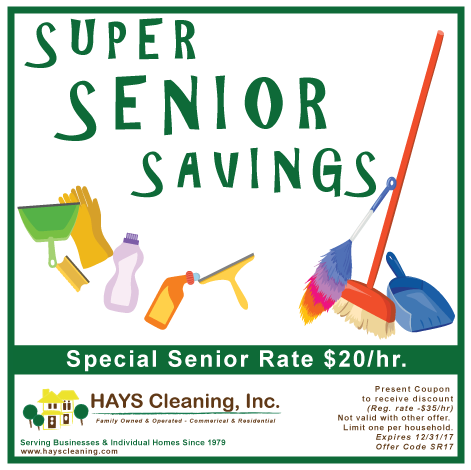 Super Senior Savings – Print Coupon to receive services at $20 per hour. Limit one per household. May not be combined with other offers. 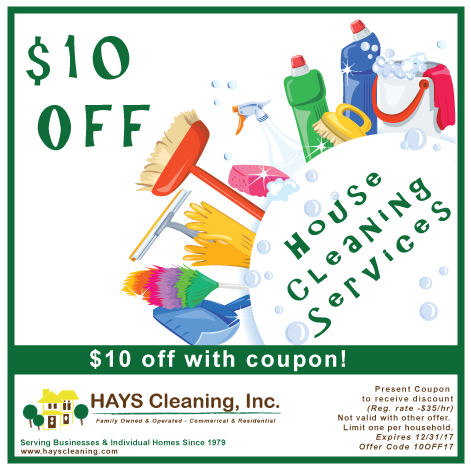 $10 Off House Cleaning Services – Print coupon to receive $10 off services. Limit one per household. May not be combined with other offers.